On behalf of the Local Organizing Committee, we are very proud to host the 13th Congress of the European Union Geriatric Medicine Society (EUGMS). The congress will take place on September 20-22, 2017, in Nice, France. The congress venue is located in the heart of the city of Nice, one of the nicest city of the French Riviera, named “Nice the beautiful”. This year, the theme: "Developing Preventive actions in Geriatric" will bring together geriatricians, scientists, public health experts and policy-makers. Over more than 70 sessions, the congress will provide a unique opportunity to meet the leaders worldwide and to share innovative ideas on prevention. It’s our goal and our duty to move from innovative ideas to actions, from actions to changes and from changes to results. We will succeed together to delay the onset of age-related disease, to delay the loss of autonomy, and to optimize care for the elderly. 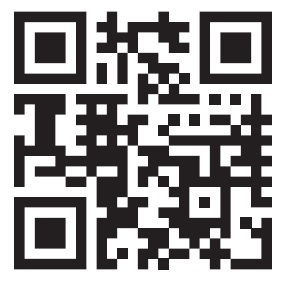 DOWNLOAD THE EUGMS APP AND HAVE ALL THE LAST CONGESS UPDATES ALWAYS AVAILABLE ON YOUR SMARTPHONE. Download here the European Geriatric Medicine Abstract Book of the 13th EUGMS Congress. The Skyteam and Star Alliance member airlines are pleased to be appointed as the Official Airline Networks for 13th EUGMS Congress. · Savings – take advantage of exclusive discounts up to 15% in both Business and Economy Class; no fee for your online bookings. · Convenience – book the most convenient itinerary online with any of the 20 SkyTeam member airlines. · Valuable services – SkyTeam Elite Plus, First and Business Class customers will experience SkyPriority, the alliance network red-carpet treatment, and will get access to the exclusive SkyTeam lounges. · SkyTeam network – travel to your event from virtually anywhere in the world with over 16,270 daily flights covering more than 1,050 destinations in 179 countries. Registered participants plus one accompanying person travelling to the event can qualify for a discount of up to 20%, depending on fare and class of travel booked. 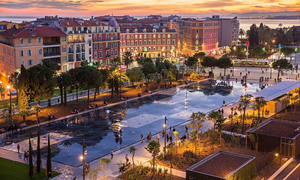 Nice is the capital of a cutting edge technology environment with an outstanding centre for scientific and medical research located near the Sophia-Antipolis science park and the University of Nice-Sophia-Antipolis. 55 airlines fly to 104 destinations in over 30 countries from Nice Côte d’Azur International Airport located a quarter of an hour from the City Centre. High speed trains (TGV) link up with European’s main cities, and motorway connections bring you right in the city centre.